The Ricoh Aficio 2035 is a complete digital copying system which is capable of being remotely managed. It is designed specifically to streamline workflow, reduce costs and speed up the distribution of information in an office or workgroup environment. It is an extremely versatile machine for the amount and type of work it is able to perform. This compact console-type copier has a 64/320 MB RAM standard system memory and a 20GB hard disk drive (both offered as standard) and needs to be connected to a 120V/60Hz/15A power source. It boasts a modem speed of 33.6 Kbps with auto fallback. It is compatible with - and must be connected to - either Windows Professional/Server with Service Pack 1 or Windows XP for IP over IEEE 1394 (with TCP/IP protocol). Its dimensions are 23.6" x 25.6" x 28.3" (760 x 650 x 870mm) and it weighs just 200 lb (91kg). It has an exceptionally fast warm up time of 15 seconds and, thereafter, the first printed page exits after only 4.5 seconds; and it has a continuous copying speed of 35 sheets per minute. 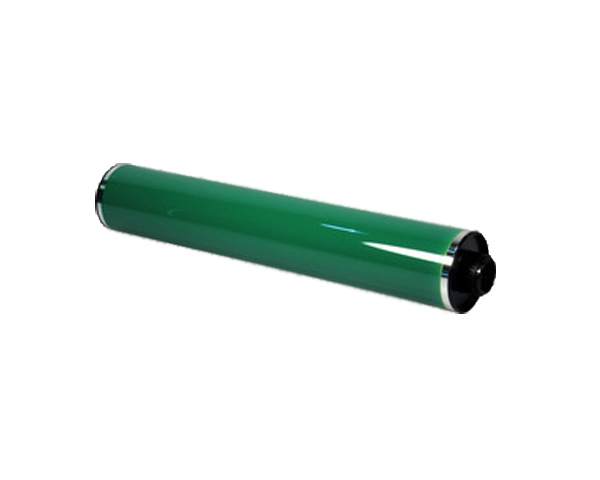 It prints on both paper and transparencies and is also able to print on both sides of a sheet of paper. The standard unit comes equipped with dual 500 sheet paper drawers and a 100-sheet bypass tray - making a total capacity of 1,500 sheets of standard paper; a document server, duplexing unit and an automatic reversing document feeder; together with an electronic paper sorter for 500 sheets of paper. A large capacity tray is offered as an extra accessory. It prints at a high-quality 600 dots per minute (dpi) with its gray scale set at 256 levels. This unit is able to scan documents at up to 49 pages per minute at 200 dpi, store the information in its document server and, thereafter, send the scanned information to pre-programmed destinations - without the need of a server. The Ricoh Aficio 2035 employs twin laser beam scanners and electrophotographic printing. As a multifunctional unit, the Aficio 2035 supports network connectivity and, as such, every computer connected to the system has remote access to the paper supplies and its full range of finishing capabilities. The unit immediately accepts all jobs sent to it from any workstation in the system, thus allowing workers to manage their printing needs and, indeed, the whole system, from their desk without the need to go to the machine to program it. This console offers three finishing options, which include stapling in multiple locations; hole punching; and stitched booklet finishing. The scanning function has proven to be the most cost effective method of distributing paper-based documents, as it digitalizes all documents for electronic distribution. It employs the ScanRouter (which operates at 200 dpi) and a TWAIN driver (at 200 dpi), resulting in a scanning resolution of 600 dpi. E-mail addresses are programmed into the machine at the control panel, for an address book able to store up to 2,000 e-mail addresses. A fax is offered as an optional extra, with up to three G3 lines for simultaneous fax transmission and reception. Document management is simple with this machine. It is easy to search for and retrieve documents for reprinting, faxing and e-mailing - or for download onto a computer. Once scanned, all documents may be archived in the document server for future use. 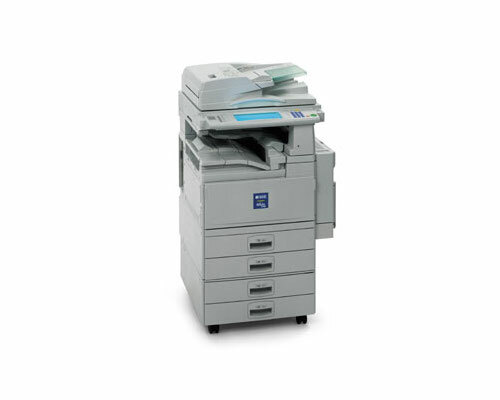 The Ricoh Aficio 2035 is able to perform a multitude of functions. Also, its simultaneous fax transmission and reception ability does not tie up telephone lines which may be needed for other purposes. Print speed may be affected by network, application or computer performance. Also, it is a monochrome machine (black and white only), so is not suitable for those who need color-printed documents. Review it: "Ricoh Aficio 2035 "
The Aficio 2035 uses the Type 3110D black toner which is sold in a 550gm cartridge, which is sufficient for 11,000 pages. 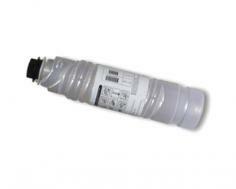 It is to be noted that a sealed toner cartridge can be stored for more than two years prior to use.